I was hurriedly shaving the other day and felt a sharp stinging sensation in my philtrum. Shortly thereafter, blood began pouring forth from the area and dribbling into my mouth. I don’t typically name-check the area between the nose and the margin of the upper lip, but if one cuts the area (and wants to write about the experience), it is useful to have a single noun that describes it precisely. The philtrum (Latin: philtrum, Greek: φίλτρονphiltron, lit. “love charm”), or medial cleft, is a vertical groove in the middle area of the upper lip, common to many mammals, extending in humans from the nasal septum to the tubercle of the upper lip. Together with a glandular rhinarium and slit-like nostrils, it is believed[by whom?] to constitute the primitive condition for mammals in general. Although lacking function, it does cause a protrusion in the otherwise smooth facade of the face, and as a consequence, is at an increased risk for cuts. Despite holding pressure on the cut for many minutes and daubing it with toilet paper, it continued to bleed. The bleeding continued on for much longer than I am use to, and after a while I realized that my bleeding was prolonged due to the aspirin I have been taking. I’ve been following my own advice to those with documented significant atherosclerotic plaque, and have been taking 81mg aspirin daily. I began chewing daily my chewable aspirin after writing my post on the best form of baby aspirin to take. Prior to that it was only intermittently. As a cardiologist I commonly hear patients complain about the nuisance of bruising and bleeding caused by the aspirin and other blood thinners I have prescribed them. Now I had joined their ranks. Doctors mostly worry about major bleeding caused by aspirin; things like bleeding from the gastrointestinal (GI) tract, or into the head. A recent review found that baby aspirin doubles the risk of bleeding from the upper GI tract, and increases the risk of intracranial hemorrhage by a factor of 1.4. There is relatively little concern about the type of minor bleeding I experienced. However, beginning in 2010, the Bleeding Academic Research Consortium (BARC) investigators came up with a more precise way of categorizing bleeding events, the BARC bleeding types. By far, the most common bleeding on aspirin is the kind I had: Type 1 BARC. Type 1: bleeding that is not actionable and does not cause the patient to seek unscheduled performance of studies, hospitalization, or treatment by a healthcare professional. Examples include, but are not limited to, bruising, hematoma, nosebleeds, or hemorrhoidal bleeding for which the patient does not seek medical attention. Type 1 bleeding may include episodes that lead to discontinuation of medications by the patient because of bleeding without visiting a healthcare provider. Indeed, my Type 1 bleeding prompted me to skip my aspirin doses for the next few days. Many patients do the same thing. Just this morning a patient told she had stopped taking her aspirin because she thought it was causing “little red spots” on her arms. Does Prolonged Bleeding Mean You Are Taking Too Much Aspirin? My philtrum persisted in bleeding, and as I felt the need to use my hands for something other than holding pressure, I put a band-aid on the area (actually a Nexcare), which temporarily stemmed the bleeding tide: I began pondering if I was taking too much aspirin. Since aspirin is so widely used to prevent heart attacks and strokes caused by sticky platelets, why isn’t there a way to see how effective it is at making sticky platelets less sticky? We have such methods for blood pressure meds (blood pressure levels) and cholesterol lowering drugs (cholesterol levels). And for the older blood thinner warfarin, we have a blood test which helps us make sure the dosage of medication is keeping the blood thinning in a range that maximizes effectiveness and minimizes bleeding risk. It turns out there are lots of ways to measure how effective aspirin is in an individual, but no consensus on which particular method should be used, and authorities don’t recommend we make such measurements. This article on platelet function tests lists 13 different platelet function tests, ranging from the mostly historical “bleeding time” to sophisticated tests of platelet aggregation. The Verify Now test (not available in the US) of platelet reactivity predicted in one study which patients would have BARC type I bleeding like mine. The test did not predict major bleeding complications, things like GI bleeding and intracranial hemorrhage. Those patients who had minor bleeding problems were more likely to be noncompliant, stopping their aspirin therapy. I could easily visualize the following scenario as the blood began pooling underneath my band-aid and progressing down my philtrum. Let’s say I’ve just had a heart attack and had a drug-eluting stent placed in one of my coronary arteries. I’ve been started on aspirin and another anti-platelet drug. I cut myself and bleed excessively and prolongedly. I decide that the aspirin is the reason, and start skipping doses. The lower aspirin levels subsequently allow my platelets to become sticky again. As a result a clot forms in my coronary stent and a heart attack ensues. Thus, prolonged bleeding from a cut, considered a minor side effect of aspirin therapy, could increase heart attack risk. There is a clinically available test for aspirin effect called AspirinWorks. The AspirinWorks Test Kit is an enzyme-linked immunoassay (ELISA) to determine levels of 11-dehydrothromboxane B2 (11dhTxB2) in human urine, which aids in the qualitative detection of aspirin effect in apparently healthy individuals post ingestion. Unlike platelet aggregation tests, which require freshly drawn blood that must be evaluated within at least four hours, the AspirinWorks Test is performed on a random urine sample that can easily be obtained in any doctor’s office. Increased levels of urinary 11dhTxB2 are associated with as much as a four fold increased risk for adverse cardiovascular events or death. 11dhTxB2 is an independent, modifiable predictor of risk for stroke, heart attack and cardiac death (CHARISMA). I have never ordered this test and am unaware of any other physicians ordering it on their patients. Doctors don’t test for aspirin effect in individual patients because it is expensive and it won’t change our approach in most cases. 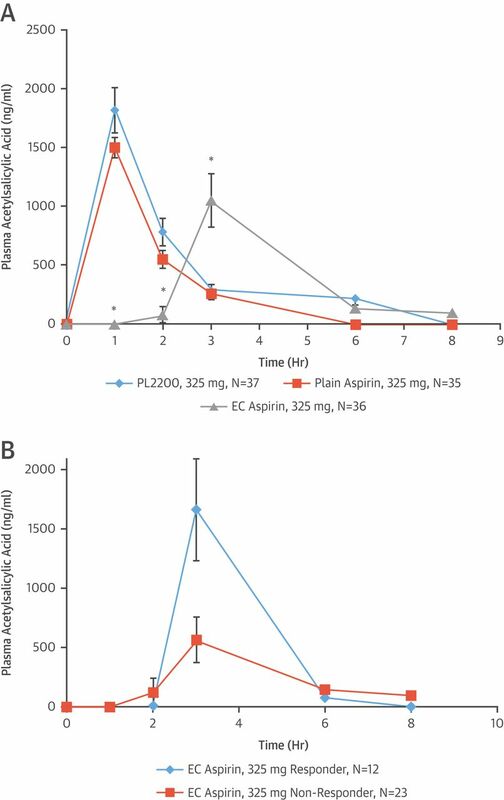 Taking 81 mg aspirin daily might be too high a dose to optimize the balance between bleeding and clotting in me. If I took it every other day I might have less Type I BARC episodes. However, we don’t have any good evidence that adjusting the dosage based on aspirin effectiveness testing will improve my outcomes. Thus, we bleeders on baby aspirin (the BOBA) of the world must find better ways of dealing with minor bleeding. When I changed the band-aid on my philtrum several hours after the initial cut, I began actively bleeding again. This time I decided to apply ice to the area to vasoconstrict the arteries. This, plus more pressure and time, almost completely stopped the bleeding. Another Nexcare was applied to the area, and when it was removed the next morning, the bleeding did not resume. There are a variety of other measures that can be tried with varying degrees of success, as described here (deodorant, lip balm, listerine, Visine) and here (styptic pencils and powders, cayenne pepper, tea bag, sugar, alum-ironically this article mentions making a paste out of aspirin and applying it to the cut). There also appears to be a thriving industry devoted to commercial products for stopping bleeding from minor cuts outlined here. Should We Worry About Minor Bleeding? Ultimately, the seemingly excessive bleeding one experiences upon incidentally cutting oneself while taking aspirin is best viewed as a reassuring sign that the drug is doing its job: Your platelets are less sticky, less likely to cause bad clots that cause strokes and heart attacks. Platelets don’t know bad from good clots, they just react indiscriminately. The small amount of blood that exudes from superficial cuts can be scary but it can be controlled with fairly simple measures. The little red dots my patient experiences, although unattractive, are benign. The skeptical cardiologist recently asked his Eternal Fiancée to grab a bottle of baby aspirin while she was at the local Walgreen’s. Aspirin or acetyl salicylic acid (ASA) comes in either a 325 mg dose or in a low dose which can be between 75 to 100 mg and is often called “baby” aspirin. However, since a link between aspirin use and a potentially lethal disease called Reye’s syndrome was identified in the 1980s, no authorities recommend aspirin in children or babies, and the low dose ASA (LDASA) is primarily marketed and used for prevention of cardiovascular disease. Although Bayer and Dr. Oz would have us believe that all individuals over the age of 55 should be taking LDASA, as I pointed out here in 2014, the FDA no longer recommends it for prevention of cardiovascular disease. The USPSTF recommends initiating low-dose aspirin use for the primary prevention of cardiovascular disease (CVD) and colorectal cancer (CRC) in adults aged 50 to 59 years who have a 10% or greater 10-year CVD risk, are not at increased risk for bleeding, have a life expectancy of at least 10 years, and are willing to take low-dose aspirin daily for at least 10 years. The decision to initiate low-dose aspirin use for the primary prevention of CVD and CRC in adults aged 60 to 69 years who have a 10% or greater 10-year CVD risk should be an individual one. Persons who are not at increased risk for bleeding, have a life expectancy of at least 10 years, and are willing to take low-dose aspirin daily for at least 10 years are more likely to benefit. Persons who place a higher value on the potential benefits than the potential harms may choose to initiate low-dose aspirin. 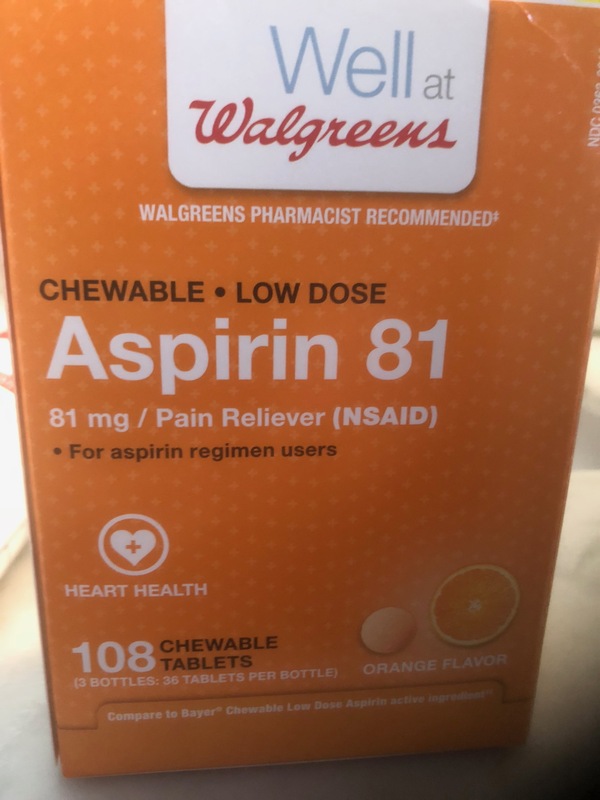 Following my own advice (see here), I have started taking 81mg of aspirin regularly (well, when I remember) in order to prevent stroke and heart attack. I do have subclinical atherosclerosis with a plaque in my LAD, and I think the aspirin will make my platelets less sticky and less likely to form clots if my plaque ruptures, thereby reducing my chances of an acute heart attack. I am willing to accept the increased risk of bleeding from the gastrointestinal tract and hemorrhagic stroke associated with LDASA use. Previous to this I had been taking ASA from little sample bottles that Bayer sends to my office. These bottles are quite annoying as they are stuffed with cotton and contain very few pills making extrication of the tiny pills an exercise in futility (I am using this as an excuse for my lack of regularity in taking them). There’s no reason to pay the premium for Bayer ASA despite the company’s advertising attempts to link inextricably their name with ASA. Aspirin is aspirin, whether Bayer made it or Walgreens. In Bayer’s defense, their website has reasonable information on heart attacks and they appear to be giving aspirin away to people named Smith. But what type of aspirin should you get? Enteric-coated, safety-coated, delayed release, chewable? I asked the Eternal Fiancée to buy the cheapest baby aspirin possible. When I put one of these in my mouth I tasted the sickly sweet taste of an artificial sweetener. The ingredients are listed as: Dextrates, Ethyl Cellulose, FD&C Yellow 6 Aluminum Lake, Orange Flavor, Sodium Saccharin, Starch. Saccharine! Yikes! The only reason to chew ASA is if you are having an acute heart attack. In this situation, chew 4 of the LDASA or one regular 325 mg aspirin. Chewing the aspirin makes the levels rise faster in your blood stream and can help dissolve the clot causing your heart attack more rapidly. How do you know if you are having a heart attack? This is actually a very difficult question to answer with certainty. See here for a reasonable discussion. It is very difficult (perhaps impossible) to find low dose, non-chewable ASA that has not been “safety-coated” or “enteric-coated.” These formulations have become popular by promoting the idea that they are less likely to cause stomach pain or bleeding. The concept is that the coating leads to delaying the aborption of the ASA until it reaches the small intestines where, presumably, it will do less damage. However, there is no good evidence to support lower bleeding risk with enteric-coasted (EC) ASA. There is, on the other hand, very good evidence that therapeutic levels of aspirin in the bloodstream, and therefore the speed and efficacy of ASA in preventing heart attacks, is reduced by these “safety” formulations. The most recent study showing this was published in 2017. Volunteers were given either 325mg regular ASA or 325mg EC ASA and researchers looked at how each formulation effected platelet activity. The onset of antiplatelet activity was determined by the rate and extent of inhibition of serum thromboxane B2(TXB2) generation. 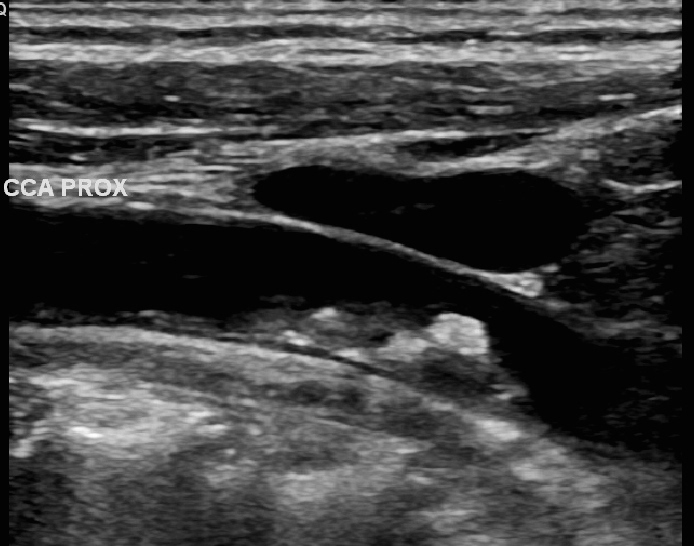 The EC ASA took longer and was less effective at blocking platelet activity than plain ASA. Presumably, this translates into lower efficacy in preventing heart attacks and strokes. Therefore, if you feel like you are having a heart attack, chew ASA which is not enteric or safety-coated. Yes, you can chew a regular 325 mg ASA pill. Or you can chew 4 of the LDASA, preferably uncoated but still helpful if coated. If it turns out you weren’t having a heart attack there is no down side to having chewed 325 mg ASA. I just spent a fair amount of time trying to find non EC, non-chewable LDASA online and failed. For the time being I will be swallowing daily the orange chewable LDASA and I will carry a bottle around in my satchel for emergency use. N.B. Aspirin is generally recommended in secondary prevention of cardiovascular disease, ie. for those who have had heart attacks, stents or bypass surgery . For a good review of the evidence for this see here. Should I Take Aspirin To Prevent Stroke or Heart Attack? Aspirin is a unique drug, the prototypical two-edged sword of pharmaceuticals. It has the capability of stopping platelets, the sticky elements in our blood, from forming clots that cause strokes and heart attacks when arterial plaques rupture, but it increases the risk of serious bleeding into the brain or from the GI tract. Despite these powerful properties, aspirin is available over the counter and is very cheap, thus anyone can take it in any dosage they want. After reviewing available data, the FDA this week issued a statement recommending against aspirin use for the prevention of a first heart attack or stroke in patients with no history of cardiovascular disease (i.e. for primary prevention). The FDA pointed out that aspirin use is associated with “serious risks,” including increased risk of bleeding in the stomach and brain. As for secondary prevention for people with cardiovascular disease or those who have had a previous heart attack or stroke (secondary prevention), the available evidence continues to support aspirin use. Until then remember that aspirin is a powerful drug with potential for good and bad effects on your body. Only take it if you and your health care provider have decided the benefits outweigh the risks after careful consideration of your particular situation.